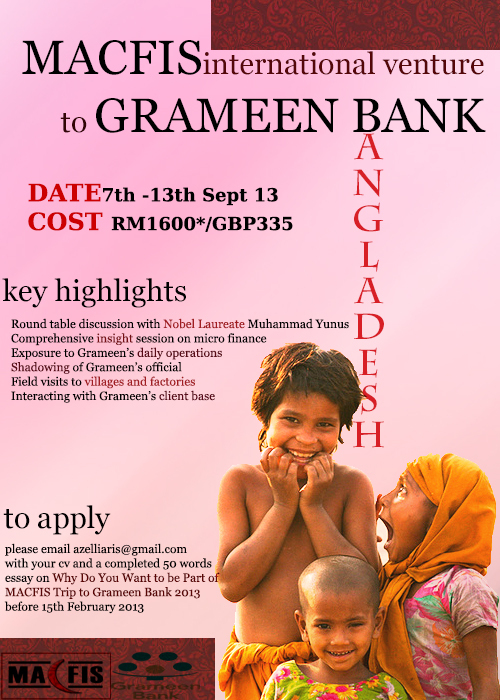 MACFIS is visiting Grameen Bank this September! 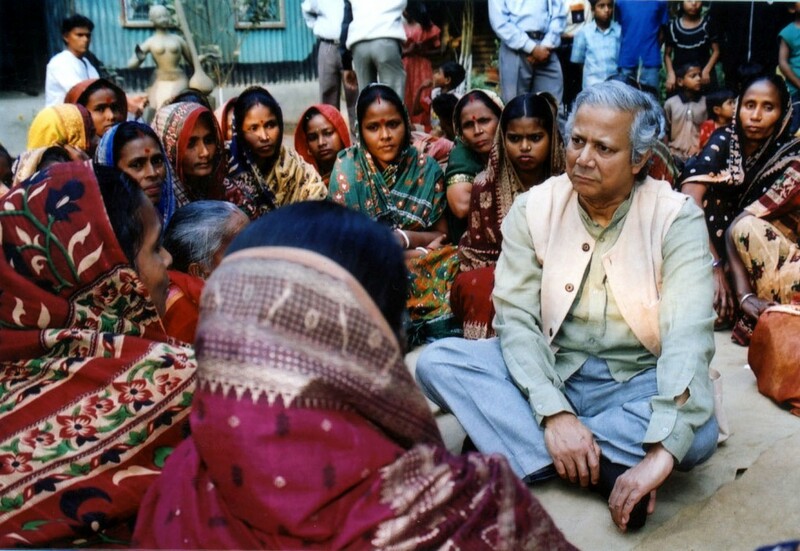 Grameen Bank is the Nobel Peace Prize winning microfinance organization and community development bank that started in Bangladesh! The price includes flights from Malaysia to Dhaka, food (lunch and breakfast), accommodation for the whole trip but excludes visa charges of around RM 50. Any inquiries can be directed to the project manager, Nabilah Karim: nabilahkarim115@gmail.com. Hurry! Places are limited so apply now!